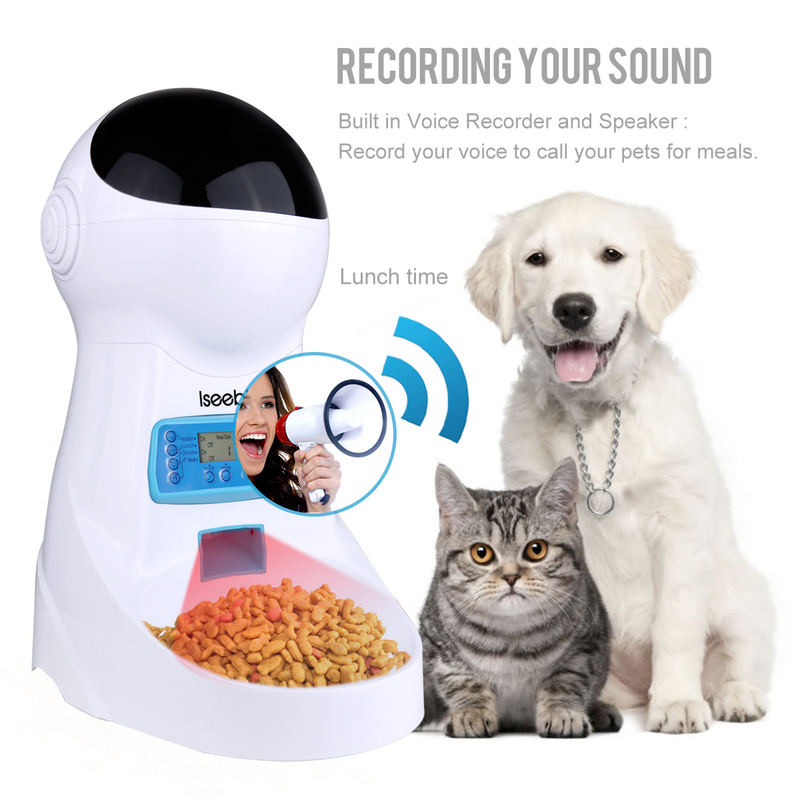 Sound Recording Function This feeder has a sound recording function that will allow you to record your voice where you can record your voice calling your pet to come and enjoy their meal time. 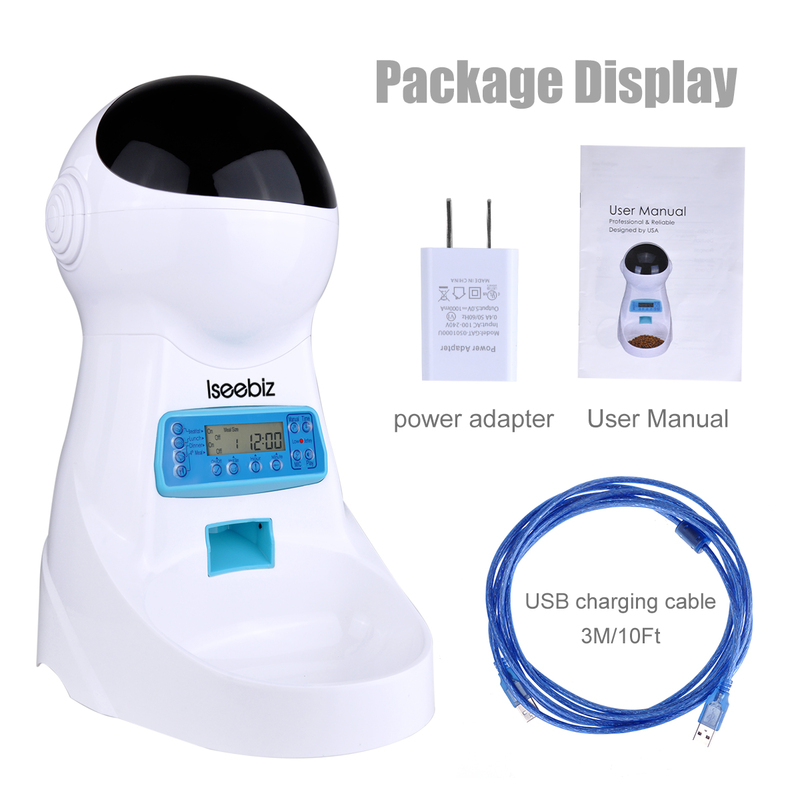 Power Supply:You can either use the power adapter that comes with the feeder or batteries in order to deliver power to your automatic pet feeder. 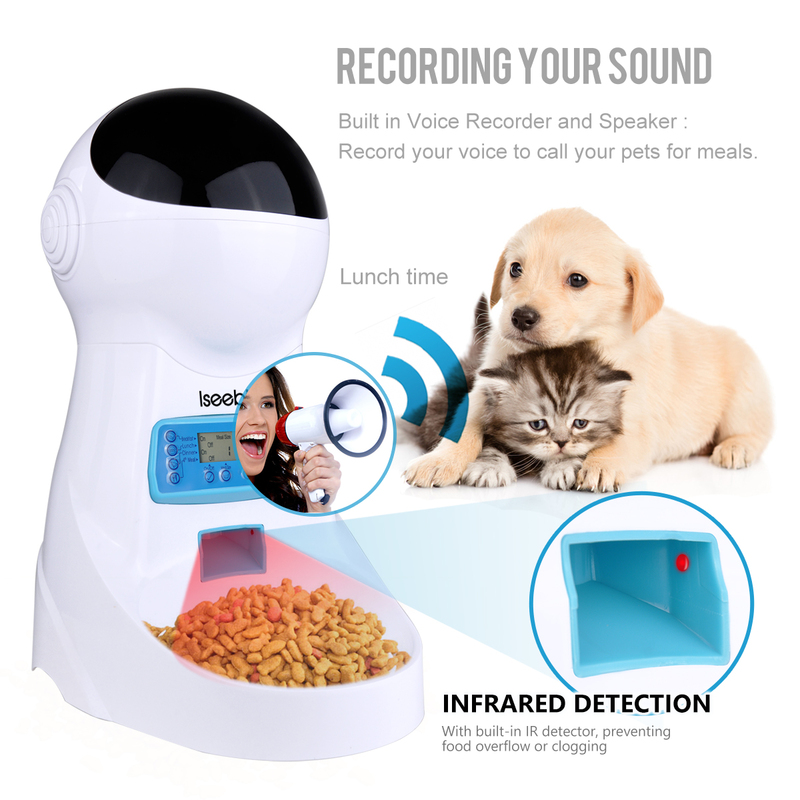 Manual function:This feeder also has a manual function button that you can use to feed your pet manually if you are wanting to feed them at other time. 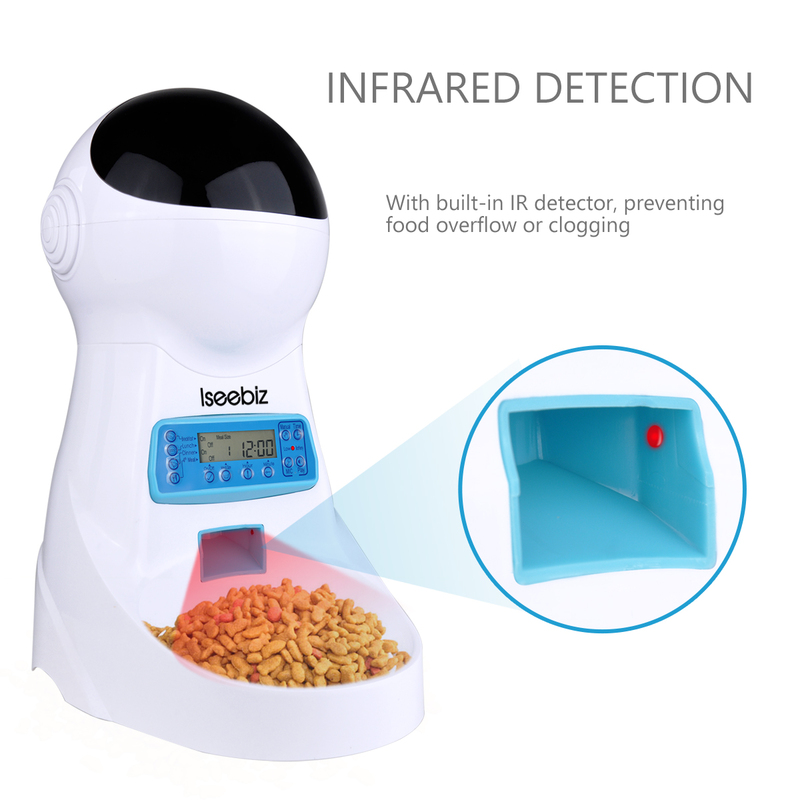 Regular feeding :You can schedule the feeding times and how much food you want to be dispensed from the feeder so your can feed your pet the perfect amount on a regular schedule by setting it up on the LCD screen located on the front of the automatic pet food feeder. 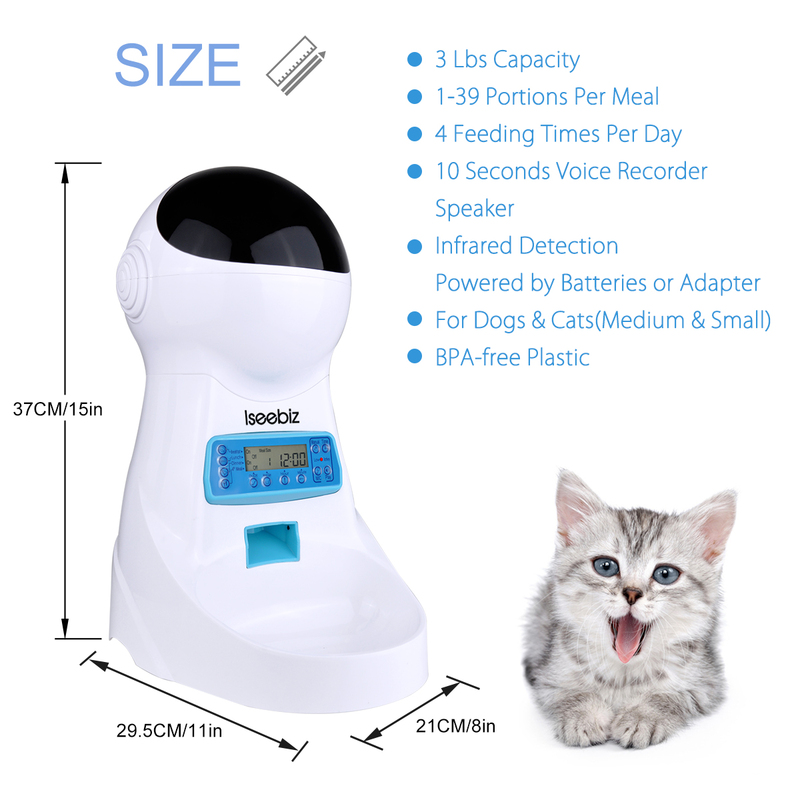 Having this feeder you will not have to worry about finding someone that is that is dependable or reliable to feed your pet when you need to be away for awhile;This product that is a solution to you not having time or being too busy to take time out of your day to feed your dog or cat. Setting:To set time it need to press and hold breakfast, lunch, dinner or 4th meal and on/off button to set feeding or not. press and hold breakfast and meal size button setting meal size. press and hold breakfast and hour button to set breakfast hour, press and hold breakfast button and a minute button to set breakfast minute. you can also to set voice recording and play. Press and hold MIC button for 3secs till LCD flashing to record voice.